Nike has been known to get involved in good causes before and that’s exactly what they’re doing with their latest collection which is slated to release next week. For those who don’t know, Earth Day is on Monday, Aprill 22nd this year which means there will be a ton of environmental related causes hitting your social media feeds very soon. 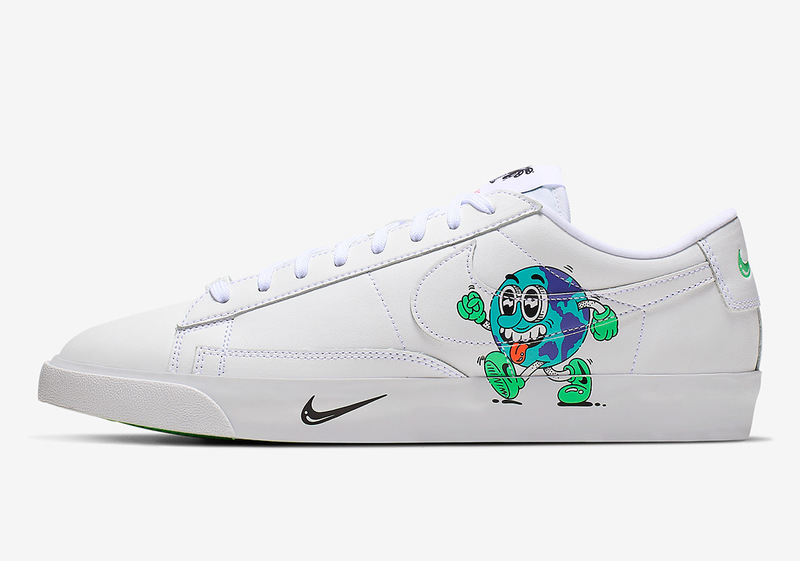 Meanwhile, Nike has teamed up with Los Angeles artist Steve Harrington – not to be confused with the Stranger Things character of the same name – to create a special three shoe pack that celebrates Earth Day. The three shoes are Nike classics in the Air Force One, Nike Cortez, and Nike Blazer Low. Each shoe comes in an all-white base, while Harrington’s humanoid figure is seen either carrying or hugging the globe. In the Blazer model, the Earth is actually walking with two legs and two arms. The drawings are consistent with Harrington’s aesthetics and make these shoes easily recognizable. 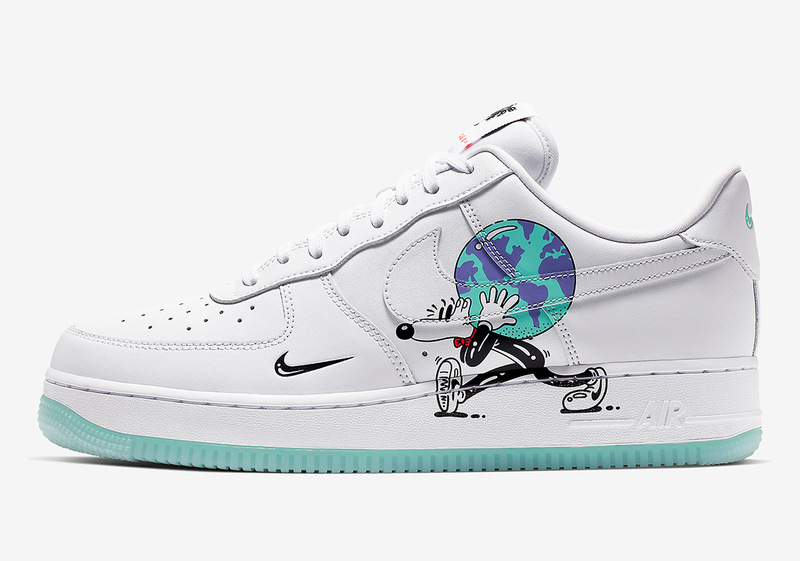 If you’re looking to cop any of the shoes in the collection, they’ll be dropping through Nike.com on Monday, April 22nd, according to Sneaker News. 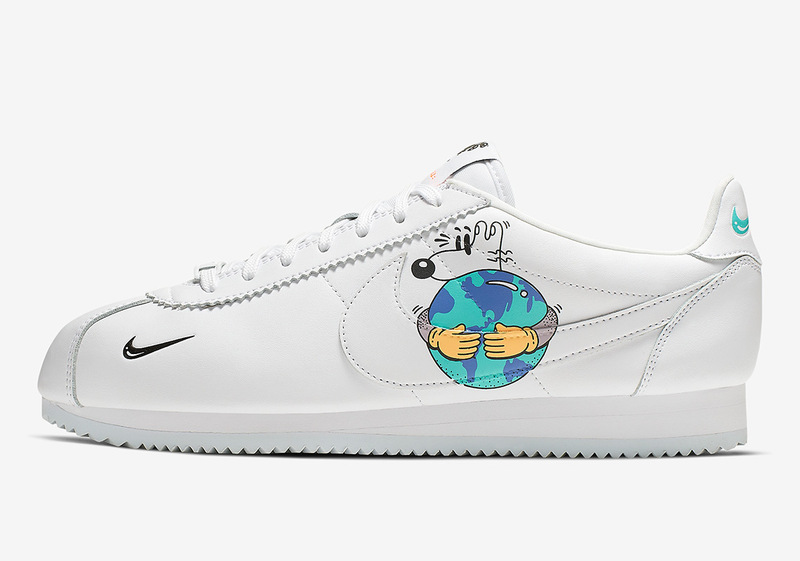 The Air Force 1 will cost $100 USD, the Blazer $80 USD, and the Cortez $90 USD.